The veterinary cardiology experts at Whitworth Animal Clinic understand that conditions such as congestive heart failure, cardiomyopathies, subaortic stenosis, pulmonary stenosis, and other heart-related conditions can all affect your pet. Some of the symptoms that indicate that your pet may be suffering from some type of heart condition include the following: coughing, difficulty breathing and/or shortness of breath, congenital heart disorders or defects, heart failure, arrhythmia, heart murmurs, hypertension, debilitation due to heart or lung disease, i.e., loss of consciousness, or acquired heart disease. Dr. Whitworth and his staff provide several veterinary cardiology tests that serve to both diagnose and measure the severity of the heart condition suffered by your pet in order to develop a treatment plan. During your appointment, Dr. Whitworth will perform a thorough examination of your pet and discuss his or her history as well as current symptoms. If he determines that a specialist referral is needed, we have a Cardiology Specialist who comes to the Huntsville area frequently to see patients. While it is impossible to prevent all heart conditions, you can certainly take steps to help ensure that your pet remains heart healthy. For example, ensuring that your pet receives adequate exercise, as well as, proper nutrition, in keeping with their activity level and age, are basic preventative care steps. Moreover, be sure that your pet receives adequate dental hygiene, their monthly dose of heartworm medication, and their annual physical exam, which can be crucial to earlier detection of heart problems. Don’t guess about your pet’s heart health. Make an appointment at Whitworth Animal Clinic to be safe. If you live in Decatur, Madison, or Huntsville, we are close by. 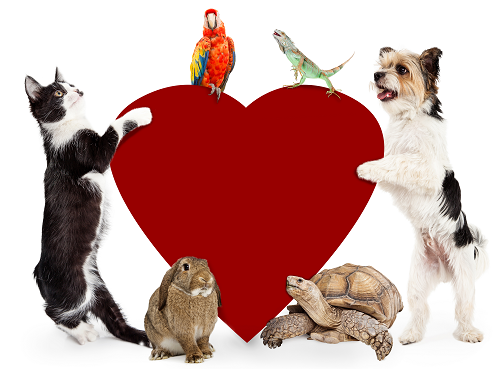 Dr. Whitworth and his staff are experienced, and love pets of all kinds. Make an appointment to get your pet on the road to good health.